GIGER MD® therapy is an effective treatment for cerebral palsy. Learn more about what treatment successes are possible here! Infantile cerebral palsy refers to paralysis due to brain damage during pregnancy, at birth or in the neonatal period. GIGER MD® therapy is an effective treatment method, via which the motor development of those children that are affected can be significantly improved – without pain, without drugs and by means of independent training. GIGER MD® therapy acts directly on the central nervous system. This means that amazing successes can be achieved even in case of severe paralysis. Unlike other methods of treatment, GIGER MD® therapy not only aims at the periphery. It triggers a reorganization of the CNS. Thus, it is possible to train the brain to embrace new movement patterns and create new neural connections. The unprecedented success of this therapy has been proven in more than 15 scientific studies. 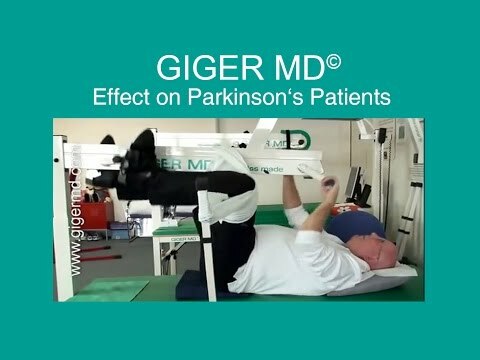 The GIGER MD® medical device, a highly developed and certified therapy instrument that allows for treatment with an unmatched intensity, is at the basis of GIGER MD® therapy for cerebral palsy. The associated software records the training, gives feedback on the training progress and continuously produces measurable results. As the developers and manufacturers of GIGER MD® therapeutic tools, we offer a free, nonbinding trial therapy session at our therapy center. This is the ideal start for a successful treatment of cerebral palsy. GIGER MD® therapy can significantly contribute to a better motor development of children with cerebral palsy and thus greater independence and a higher quality of life in later life. Contact us here for further information or sign up for a free trial therapy session!